May 19-20, 2018 was the Runge Cousins Reunion - held this year in Cincinnati. 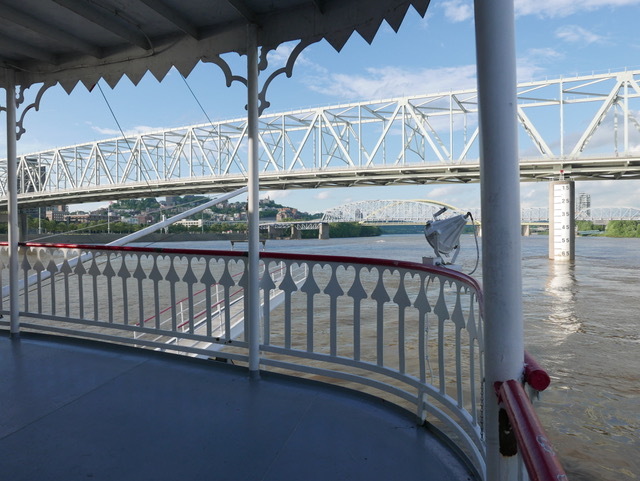 Saturday when our Indianapolis crew headed home, the rest of us headed to Kentucky for a dinner cruise onboard the Belle of Cincinnati. 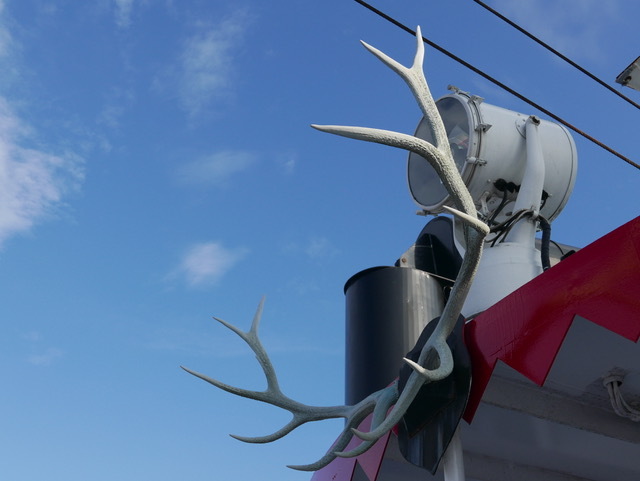 Here are my photos of the boat. 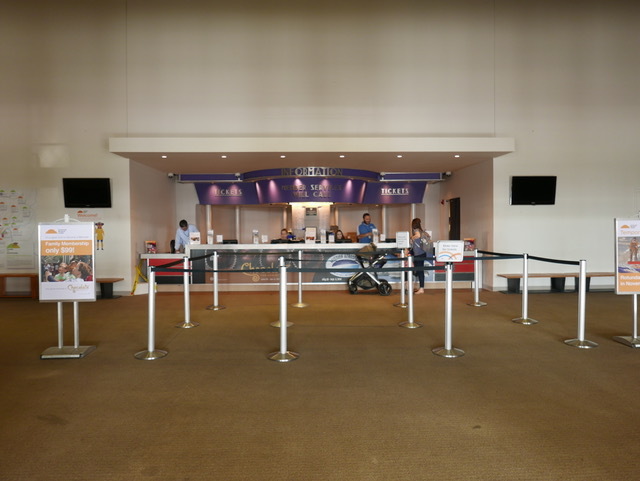 Scroll down for my photos of the Cincinnati Museum Center (or click here). 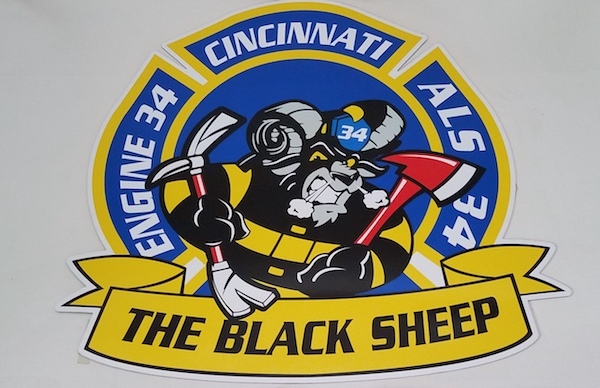 Scroll down for photos of Cincinnati Fire Department - Station 34 (or click here). Scroll down for a photo of Orchids at Palm Court (or click here). 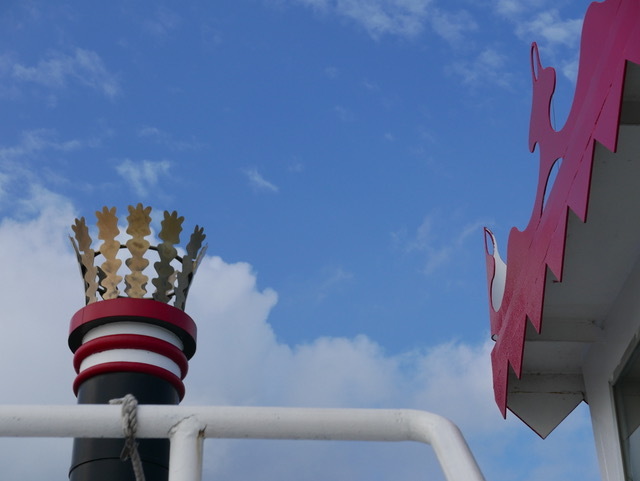 This symbol shows who won the last steamboat race. 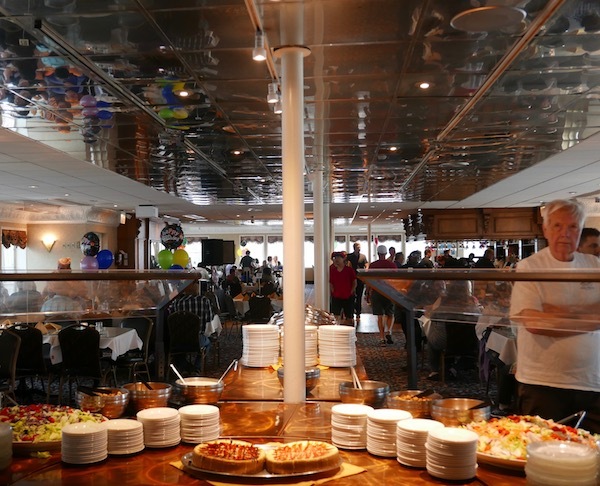 Service is buffet, with everything from a green tossed salad to tempting deserts. 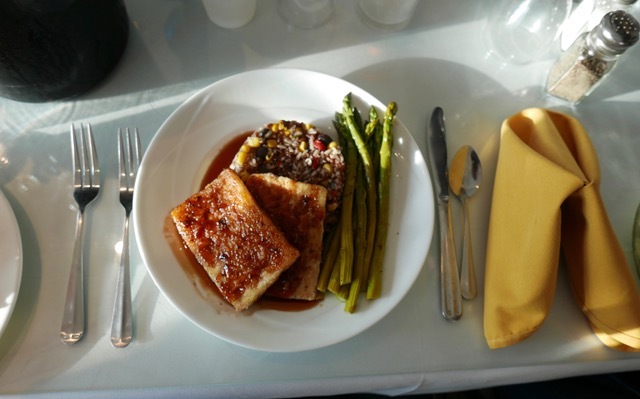 Unexpectedly they brought me a vegan dish of barbecued tofu, pilaf, and steamed asparagus. It was a great surprise and delicious. 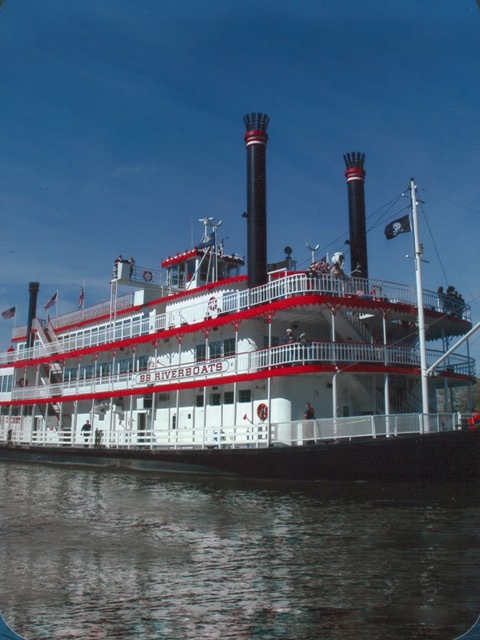 The paddlewheel pushes the boat with assistance from auxiliary motors. 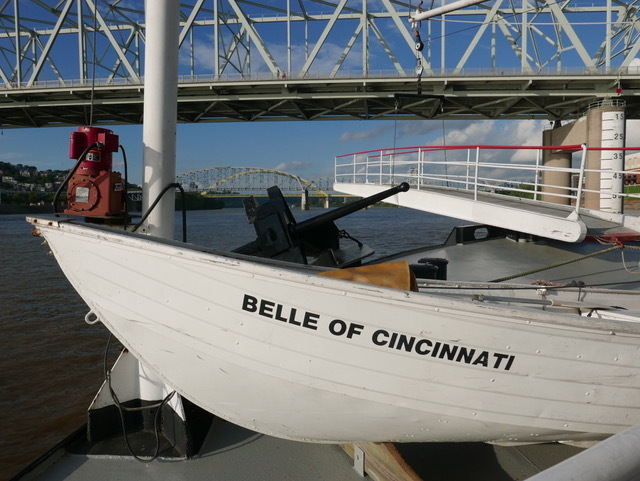 This is a publicity photo of the Belle of Cincinnati I bought on the cruise. 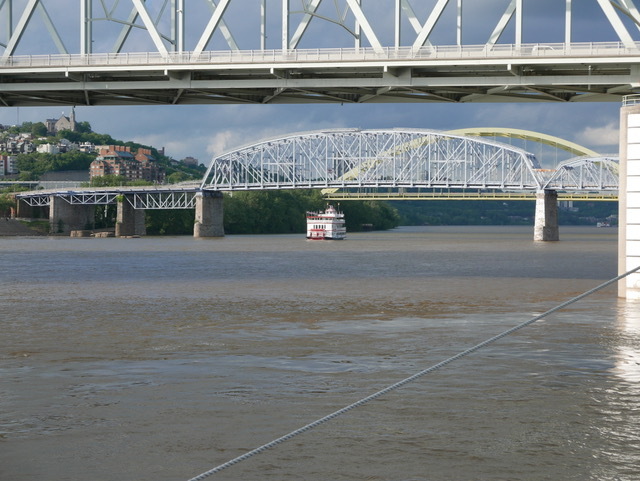 Go to BB Riverboats and call them to book a cruise. 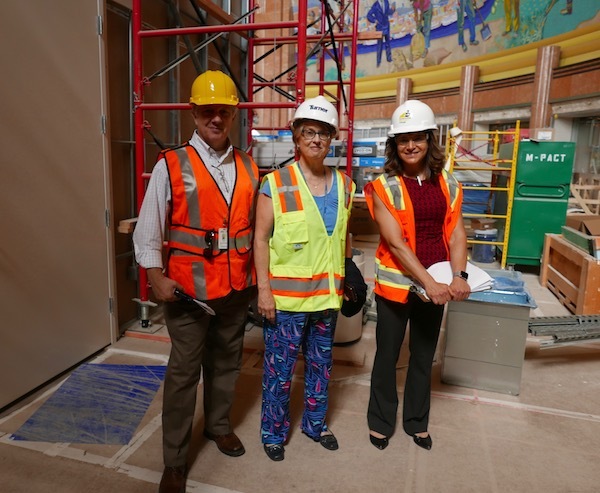 Monday I met my friends at the Cincinnati Museum Center to witness the good work they're doing. 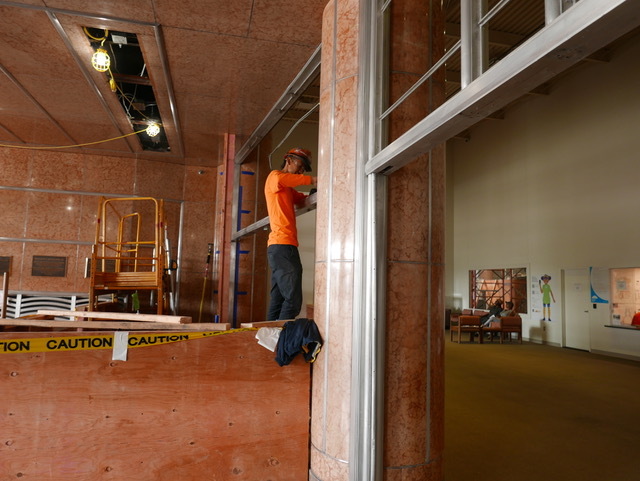 Temporary entrance - parts of the Museum Center remain open during construction. 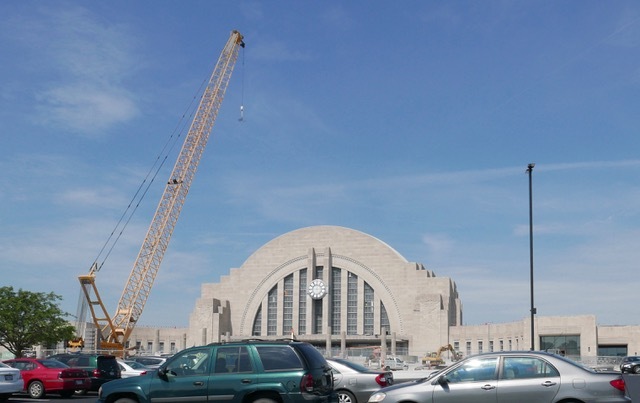 The Cincinnati Museum Center at Union Terminal, originally Cincinnati Union Terminal, is a former passenger railroad station in the Queensgate neighborhood of Cincinnati, Ohio, United States. . . . 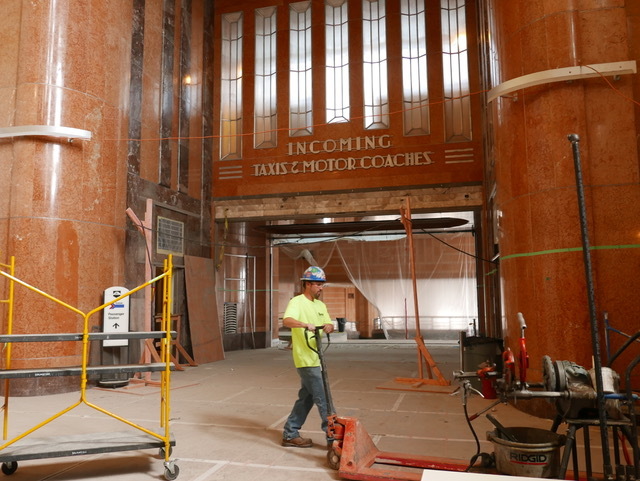 Built in 1933, it is a monumental example of Art Deco architecture, for which it was designated a National Historic Landmark in 1977. . . . The Rotunda features the largest semi-dome in the western hemisphere, measuring 180 feet (55 m) wide and 106 feet (32 m) high. Wikipedia re. 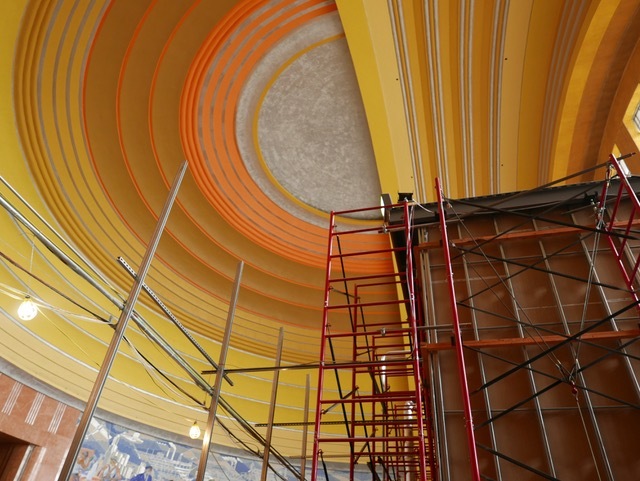 murals: "Winold Reiss was commissioned to design and create two 22 foot (6.7 m) high by 110 foot (33.5 m) long color mosaic murals depicting the history of Cincinnati for the rotunda" and other murals for other parts of the building. 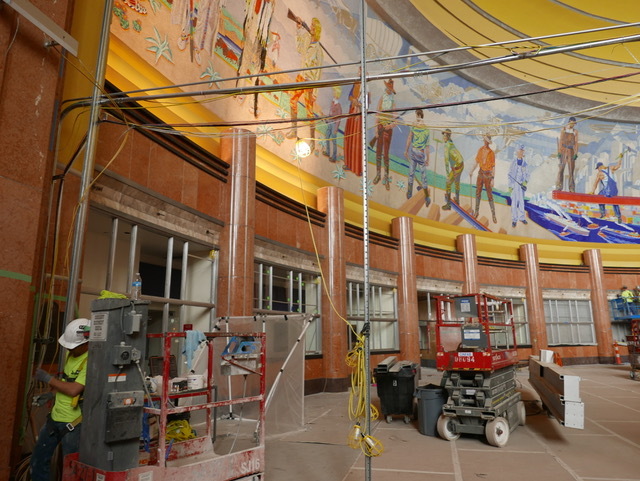 The murals get a professional cleaning as part of the restoration work. 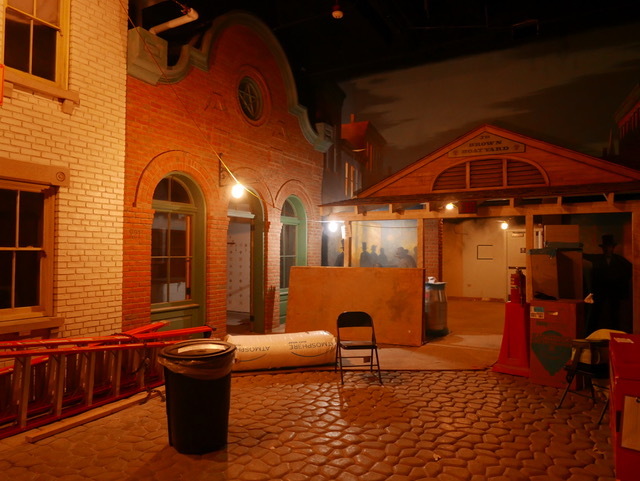 When the Museum reopens, it will feature new and updated exhibits, and a more open floor plan. After the Museum I walked around Downtown Cincinnati with my friend Vicki. 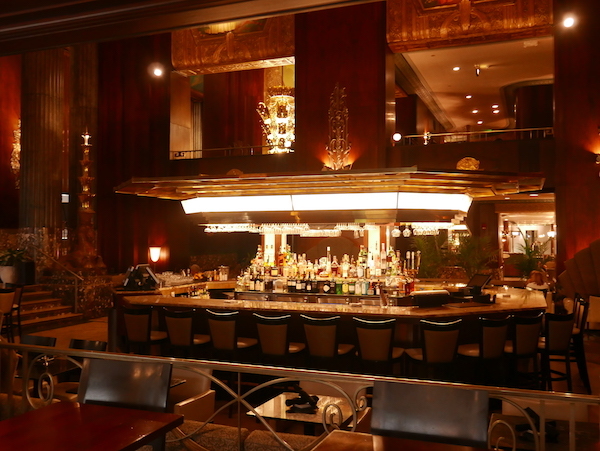 We had lunch at the historic Hilton Hotel at 35 W. Fifth Street, formally known as Hilton Cincinnati Netherland Plaza. The restaurant is called Orchids at Palm Court and has its own website orchidsatpalmcourt.com. 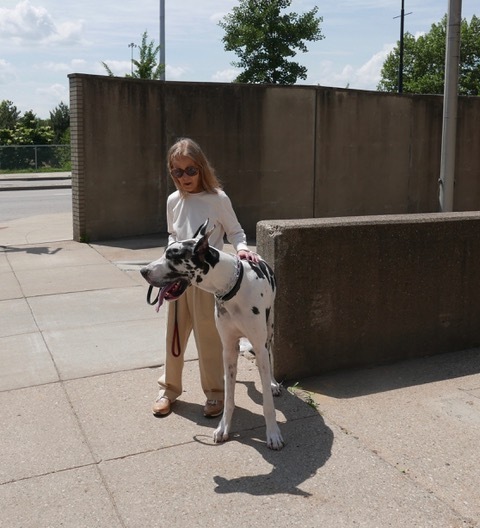 After lunch I met Bing [Crosby] Webster, who is a Harlequin Great Dane. 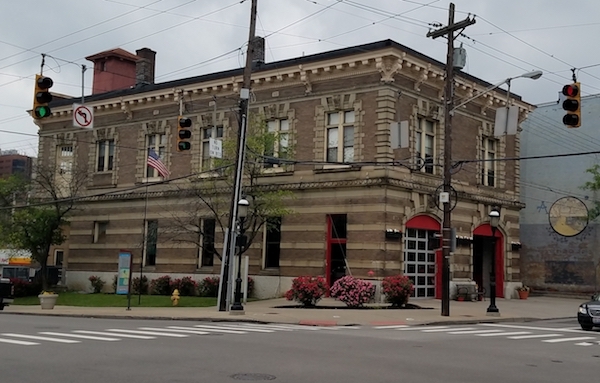 Historic Cincinnati Fire Station 34 is located at 301 Ludlow Avenue. As we were walking back from lunch, two of our cousins disappeared into this building. Mark, a retired fireman, and his wife TJ met the firemen and learned all about the building. Photos by Mark Runge. 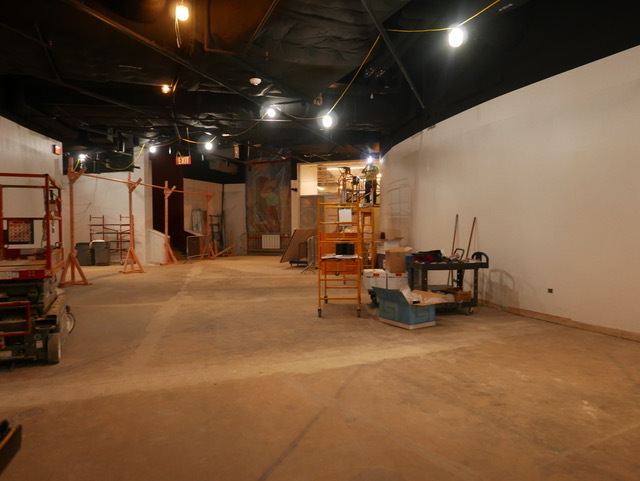 At my department, a station gets torn down and remodeled after about 30 years. We did it to 4 of our 6 houses. They just don't make them like they used to. 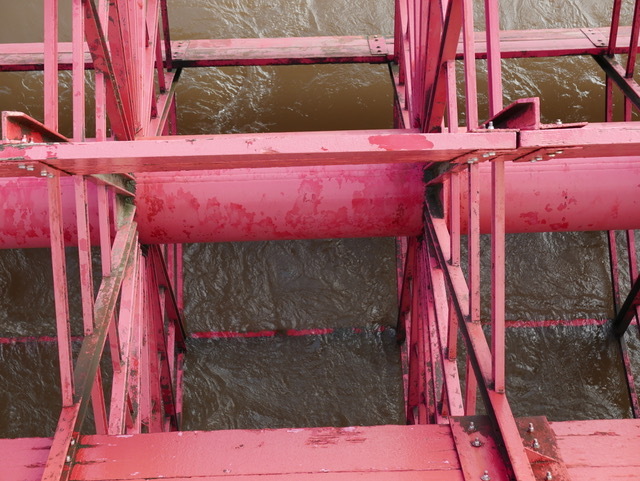 200 years of tradition, uninterrupted by progress . . .